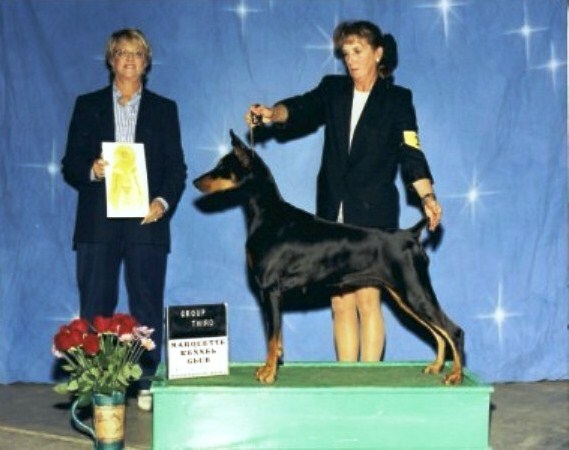 The Doberman Pinscher Club of Greater Milwaukee was founded March 15, 1973. We are a Chapter Club of the Doberman Pinscher Club of America. Club members interests' include Conformation, Obedience, Agility, Tracking, Therapy Work, & Responsible Pet Ownership. Our Annual Breed show is held in July at the Waukesha County Expo Center, Waukesha WI. Our AKC Licensed Agility Trials serve as fundraisers to support Doberman Rescue and Special Needs Dobermans. This year we should raise almost $10,000 for these important causes.